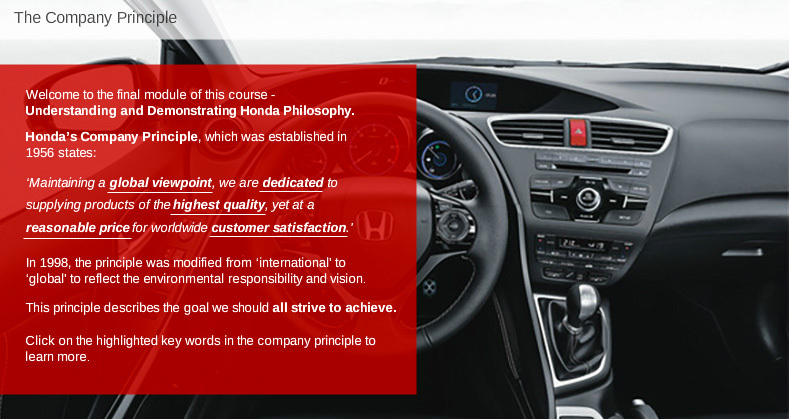 Honda - Learning Nexus Ltd.
Honda are very proud of their work philosophy which expands across their global organisation and is key to their products and culture. 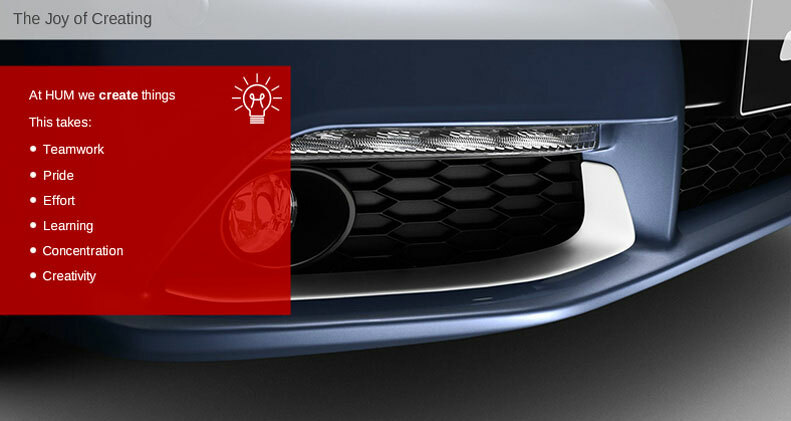 Their philosophy is key to their brand and was designed by the company founder Soichiro Honda. 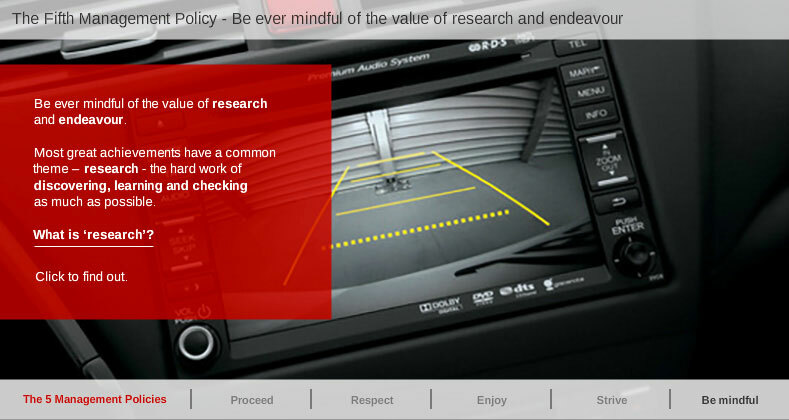 Because this way of thinking is so important to the business, they had the requirement to ensure that every employee who works for Honda are aware of the three elements of the philosophy and that the workforce has a clear and consistent message of what this is and how they can translate it into their working lives. 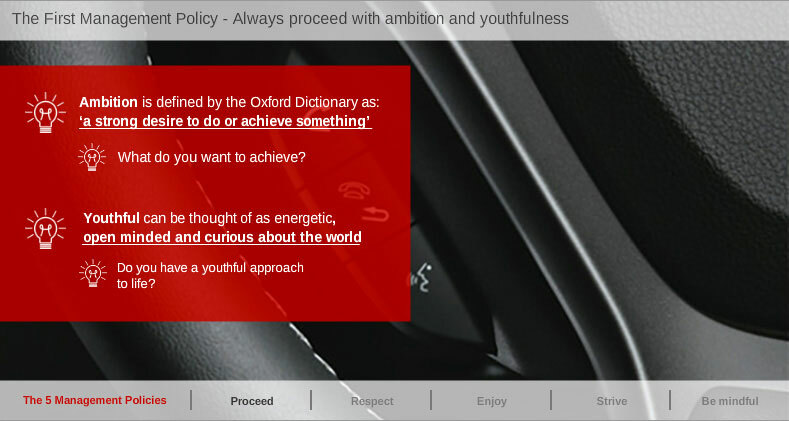 Honda were already delivering this message as part of induction but they had an issue as some staff may have been starting work before the next induction date, therefore a delivery mechanism was required to ensure that all new starters received the same induction on philosophy within the first few days of starting work. The easiest solution for Honda was to turn the important brand messaging into an eLearning course with the help of Learning Nexus. By transforming the philosophy into this interactive format, we were able to help ensure that the course was available to all employees at any time. 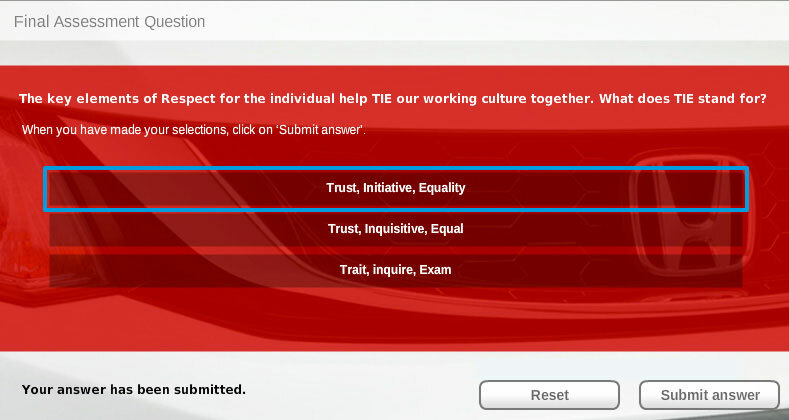 Any new starter could receive this message immediately, and not have to wait for the next induction course – ensuring all staff are educated to the same level. This consistent education of staff will ensure that they are all equipped with the skills and knowledge on how to interpret the brand’s philosophy when fulfilling their job role at Honda.